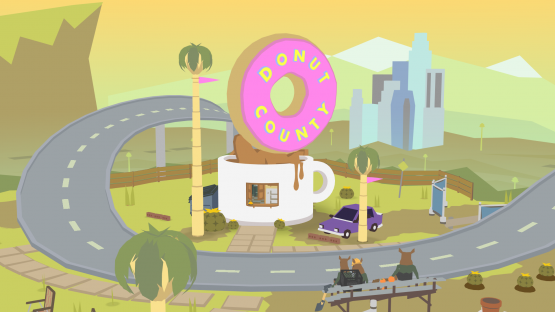 Have you played Donut County? If not, you really should make the time to take the time to do so. It’s a dashingly charming game that deals with real world problems in a tangible and refreshingly lighthearted way. Also, what other games lets you play as a hole in the ground? Ben Esposito, who directed Donut County, has more than earned his slot for this month’s Dev Spotlight. If you haven’t yet read Chandler’s review of Donut County, you should start there before reading the rest of this article. Anyway, Donut County was one of the best games I played in 2018. It’s a sincere and successful effort from one of the industry’s best and that’s why, as 2018 approaches its end, I feel it’s important to draw attention to Ben Esposito. So, I built it and realized there was something really interesting and satisfying and weird about this and I knew I wanted to pursue it further and see it through to the end. Embarking on this journey was a risky one, as playing as a raccoon-controlled hole in the ground is definitely an ostensibly weird concept. It’s often that risks are worth taking, though, as the best endeavors are usually the ones that aren’t guaranteed to be successful. Donut County was a risk that paid off, and is thus a testament as to why creative people should strive to make what they believe in. I do want to branch out more after this project because I found that working by myself is not the easiest thing to do, but I do think I will still be making games in this space because this is my art practice. It’s a business, but I get to do what I love and I really want to explore, so I’m going to keep exploring for as long as I can. 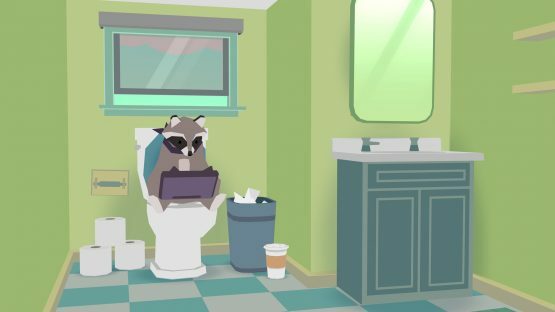 This will be to the delight of Donut County fans, as Esposito’s creative flair will likely lead to tons of other unique and artistic games that players can truly enjoy. There’s a common misconception in the games industry—which I too have been guilty of on more than one occasion—in which players think that AAAs are all the rage. Massive budget games can do some wonderful things. Red Dead Redemption 2 really pushed the boundaries of what it meant for a game to be a product of realism, for instance. 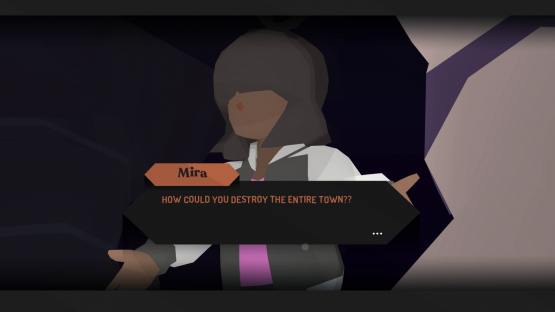 However, the most innovative mechanics and ideas are generally rooted in indie games, which operate based on their own logic and often adhere to the creative vision of a much smaller team. That’s what’s special about indie games—there’s always a vision, a goal that needs to be accomplished. In the case of Donut County, Esposito allowed people to care about a wacky cast of characters and draw their own conclusion from BK learning that what he did was wrong. The majority of the game takes place in retrospect after the damage has already been done. It’s up to the player to bring BK through his journey of redemption, educating him on why not everything he doesn’t like is no better than trash. It’s stunning, really, how much of an impact this concept can have. Ben Esposito is a person that players supporting the games industry should be immensely proud of. Innovative, hard-working, and incomprehensibly creative, Esposito’s future burns bright. Luckily, Esposito had the following to say on his own site. I make video games. It’s what I want to do with my precious life on the planet earth. If Ben Esposito wants to spend his life creating incredible video games for players all over the world, then for that, as players, we should recognize that we are incredibly lucky.